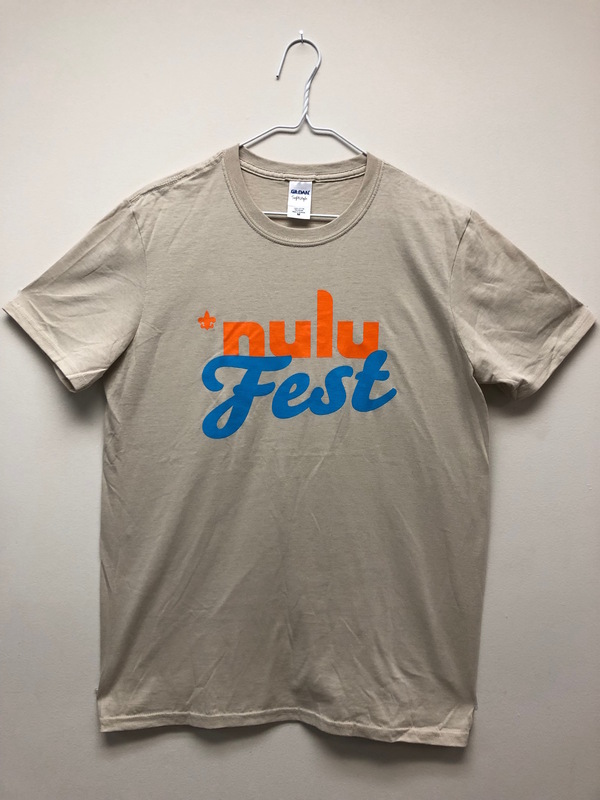 A classic NULU Fest shirt from a while back. These are adult unisex, pre-shrunk, 50/50 cotton and polyester blend. Soft material, and comfy as can be.